"And you're wondering, 'Why are they sitting'"
If you’re at work today you’ll probably take a break. (You might even sit down for a second.) It’s been a basic right for workers since the 1930s. 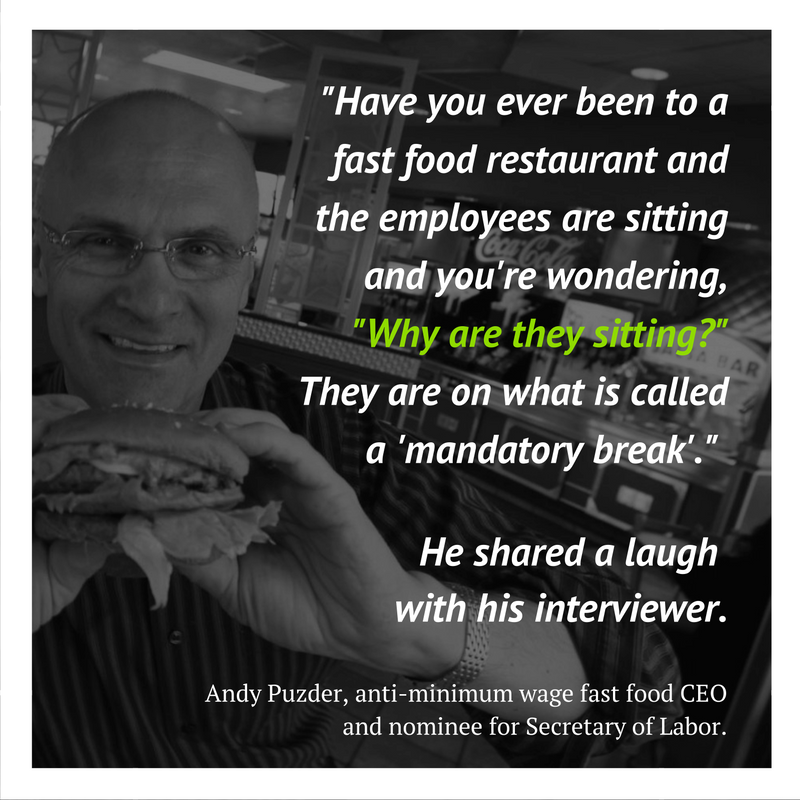 So why does fast food CEO Andy Puzder think it's so funny? And how come he's been nominated to be the next Secretary of Labor? Just two weeks from now, the Senate is set to hold hearings on Puzder’s nomination to run the Department of Labor. Washington’s Senator Patty Murray will be there to ask him questions — face to face, while he’s under oath and before the public. Click here to suggest a question for Senator Murray to ask at Puzder’s January 12th confirmation hearing. Send in your suggestions, and we'll compile the results and make sure Senator Murray hears what you want her to ask.